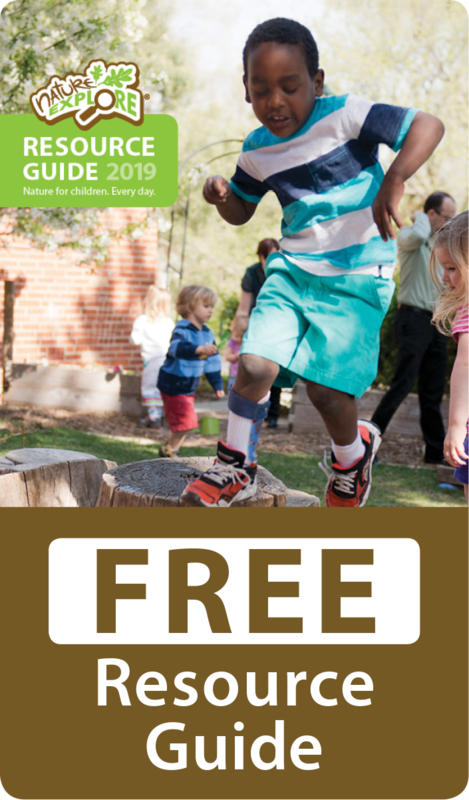 Located on CA’s campus, the CA Montessori Children’s Center takes advantage of its natural beauty to stimulate children’s interest in the natural world. 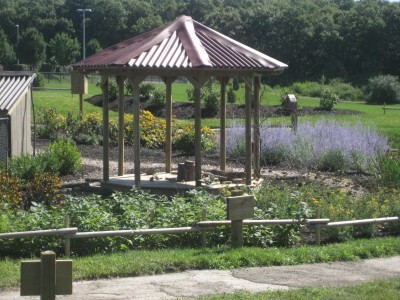 Enhancing services for their associates’ children, CA Montessori Children’s Center in Islandia, New York, has certified a new Nature Explore Outdoor Classroom where children can develop deeper relationships with nature. 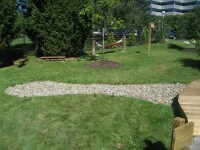 Paths, sand and pebbles at water’s edge, and wooden fences border the separate areas within the Outdoor Classroom. Relaxing on a wooden bench in The Quiet Area, a young girl may ask her teacher about a leaf she found on the ground or look at a book about insects. 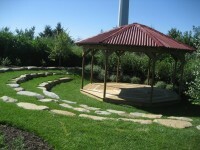 The Amphitheatre and Music Area is designed for a group of children to sing for an audience of parents and other family members. 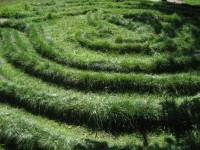 Distinctive textures in the classroom’s different areas include grassy furrows in The Labyrinth, The Sand Garden’s grainy particles, loose soil in The Garden – appeal to the children’s senses. They can choose whatever most attracts them from a broad range of activities: improving large-motor skills as they trot around the labyrinth, listening for the mockingbird who lives in the woods, picking and eating berries from The Garden, or comparing the soft leaves of a doe’s ear plant to the prickly seed scales of a pine cone. Classroom furniture is made from natural wood and tree stumps. The open design allows teachers to follow their children’s movements at all times. Children easily move about from one area to another along winding paths covered with smooth stones or tamped soil. 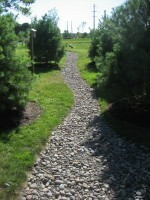 Thoughtful landscaping maximizes the areas’ natural elements. 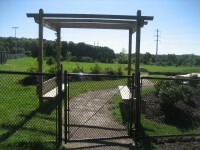 Indigenous trees and plants impart a tranquil quality to the space while providing habitat for birds and butterflies. Boulders and a river bed help punctuate the space and give children an even better chance to discover the diversity of nature. Opportunities to teach children about nature’s influence in our lives exist throughout the new Nature Explore Classroom at Islandia. Wherever children turn, they are met with views of the gardens, fields, trees, and water, making nature a daily experience at Islandia.